5.) Last weekend was Mother's Day, and I was lucky enough to have my mama and littlest sister staying with me at the time. It was nice to spend the day with her. We went shopping and indulged ourselves in some yummy Olive Garden (complete with my favorite glass of wine!) for dinner. 4.) And because it was Mother's Day, my church held their group baby dedication this past Sunday. I'm so glad to be part of a church family that lifts its children up to God in this way, and even more blessed to have friends and family that support us. 3.) Can we also take a moment to appreciate the adorableness of these two kiddos' outfits? My heart! 2.) 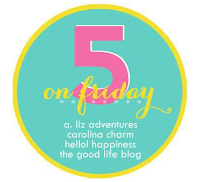 It was pretty quiet here on the blog, but I did get one post up! 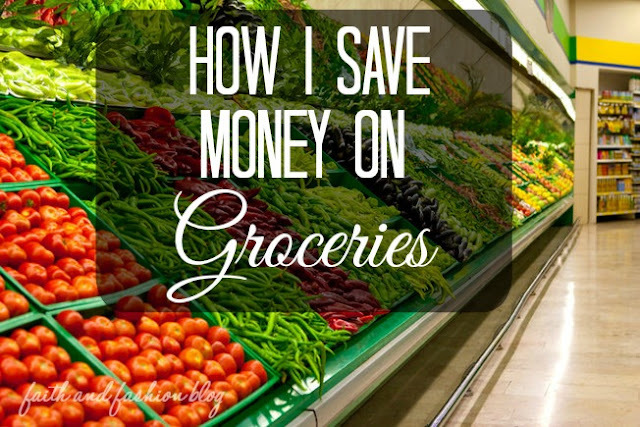 I shared all my tips and tricks for making the most of your grocery budget in a How I Save Money on Groceries post! I hope you'll check it out! 1.) Besides Mother's Day, this week was fairly uneventful. But I have felt crazy busy, just taking care of two kids. I thought I would have it somewhat easy during the newborn stage because newborns sleep so much....ha. While Parker does sleep, he just really fights it. And on top of that, he loooves to be held. He won't stay in any swing/bouncer/rock-n-play/etc for more than like 30 minutes. He's been this way since day one, so no he isn't spoiled. I know I should be cherishing these moments because he'll only be this little and want to be held for a short time, but dang, it's hard to get stuff done! So now it's Friday and time for the weekend! We're doing a little more house hunting, and I'm hoping for a little trip to the zoo since the weather looks sunny and warm!